The PA Foam Lance is built to last. 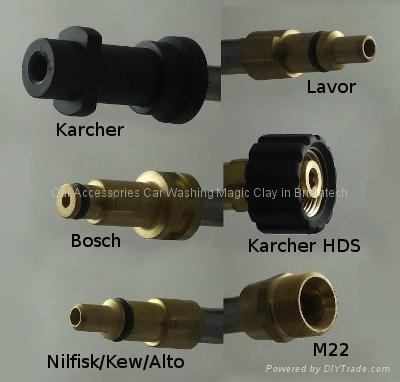 The injector head is constructed from solid brass, giving it excellent long-lasting performance and durability (with the exception of the Karcher options, all of the fitments are also made from solid brass too, and are connected to the injector head using stainless steel extension pipes). The adjustable foaming tip is made of heavy-duty plastic (as are the Karcher fitment options, if selected), while the reservoir itself is made from chemically-resistant high-density polyethylene (HDPE). The multi-ratio injector head offers highly flexible dilution rate adjustability via a large top-mounted control dial, which allows you to fine tune the exact level of foam produced. You will be simply amazed by the foaming power of this foam lance, and once you have adopted it into your wash routine you will not look back. 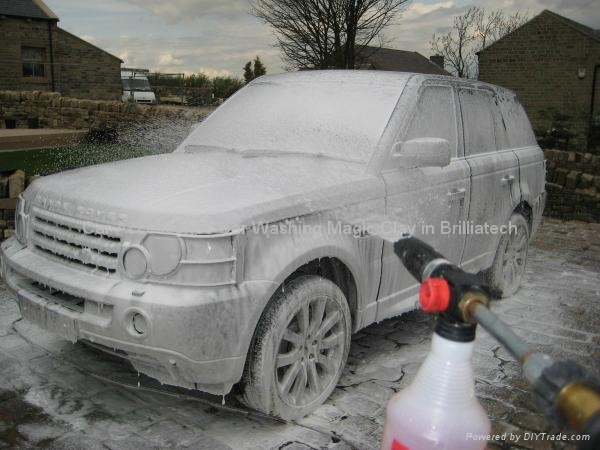 The PA Foam Lance is supplied pre-assembled and ready for immediate use, but as a safety precaution we recommend that a quick inspection is undertaken before each use to ensure that all parts of the fitment assembly are nipped up tightly enough to withstand pressurised flow from the pressure washer. 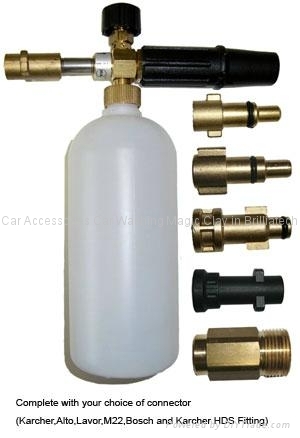 To use, unscrew the reservoir and pour approximately 100 ml of Meguiar’s Hyper Wash into the bottom, then fill it to the top with hot water, screw it back on to the injector head and shake the whole unit gently to mix the solution before finally attaching it to your pressure washer lance (double checking that the connection is fully locked in; do not overlook this step, as the consequences do not bear thinking about). Finally, aim the lance at the car and squeeze the trigger, adjusting the top dial on the injector head until you achieve the desired foam thickness.